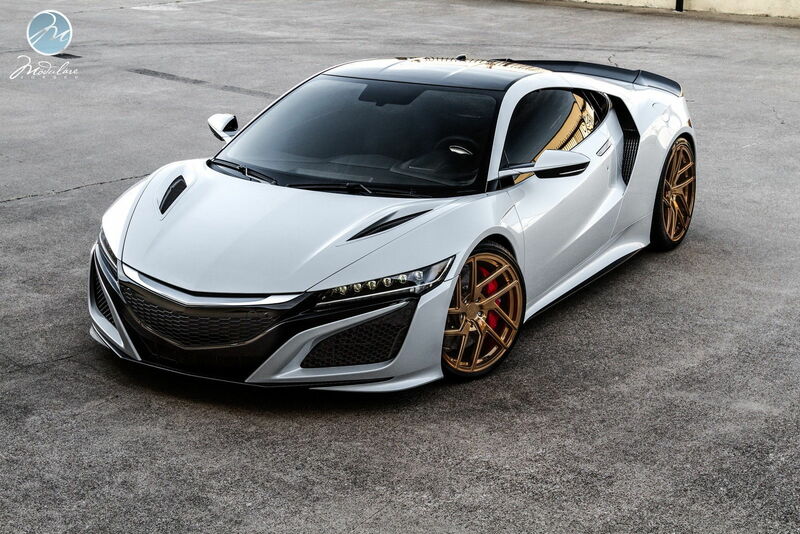 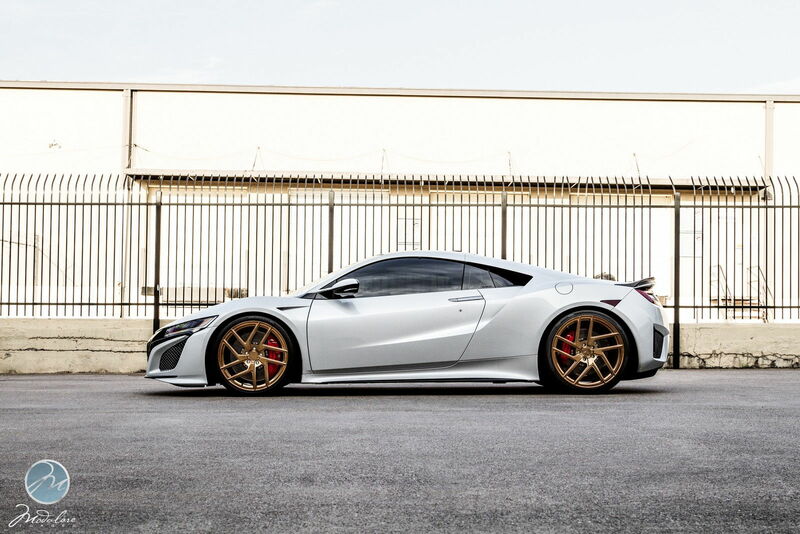 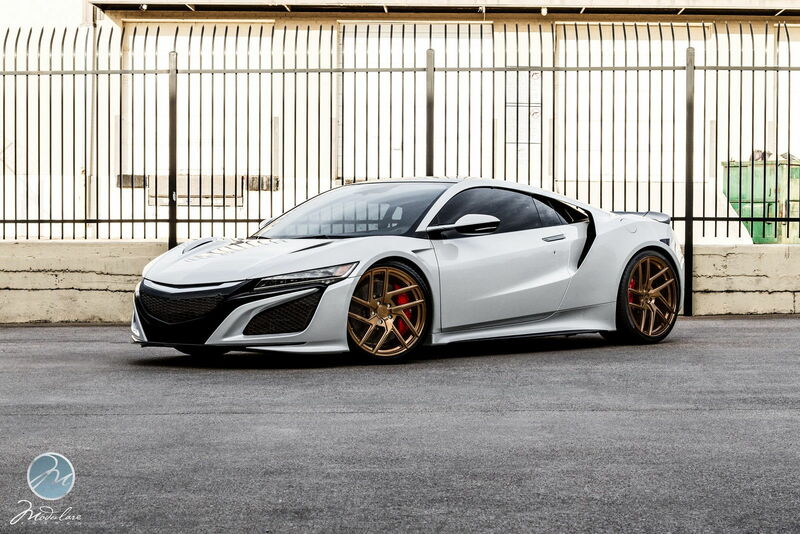 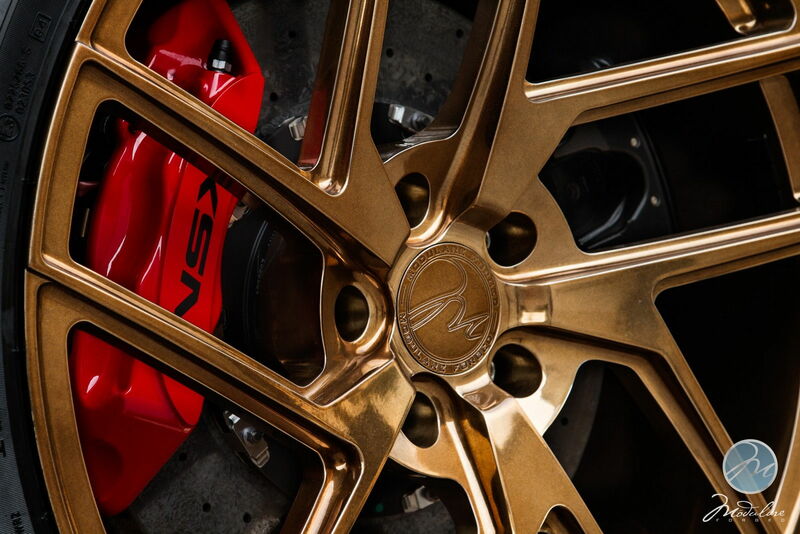 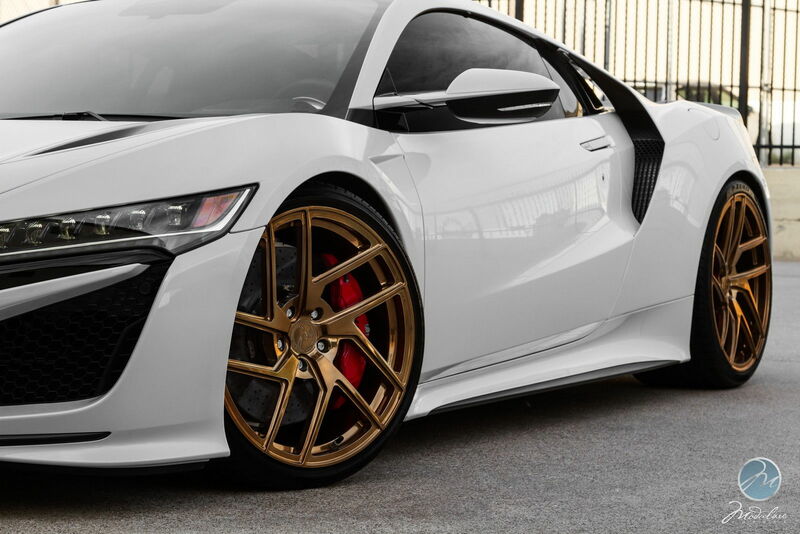 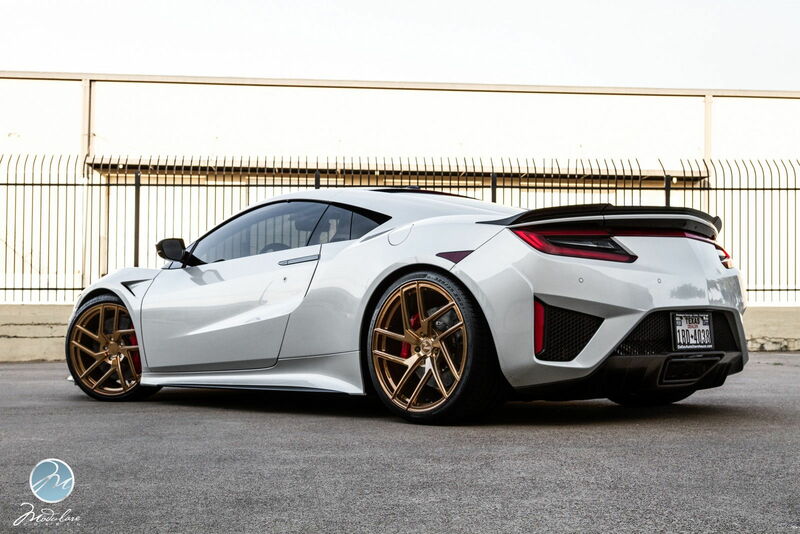 Modulare Wheels recently had the opportunity to build a set of wheels that would compliment the modern lines of this 2017 Acura NSX. 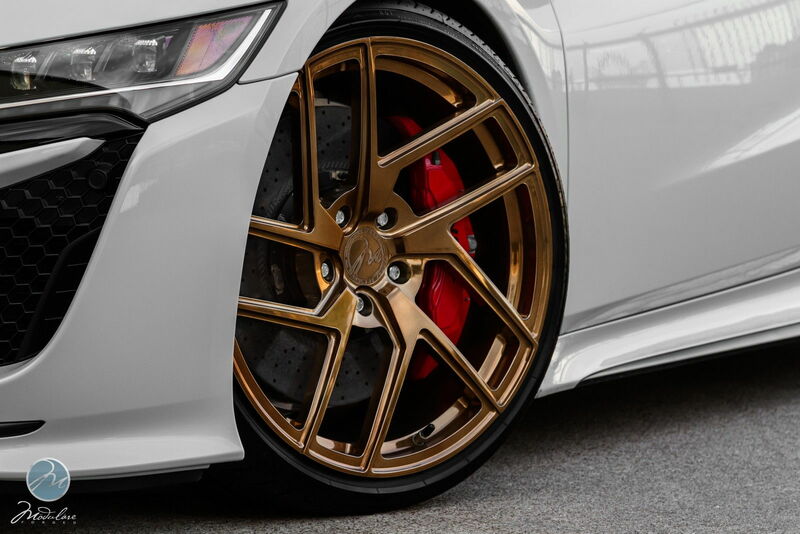 After some discussion, the car owner agreed that the B38 Forged Monoblock wheel, with its true directional design and concave profile, was the perfect match. 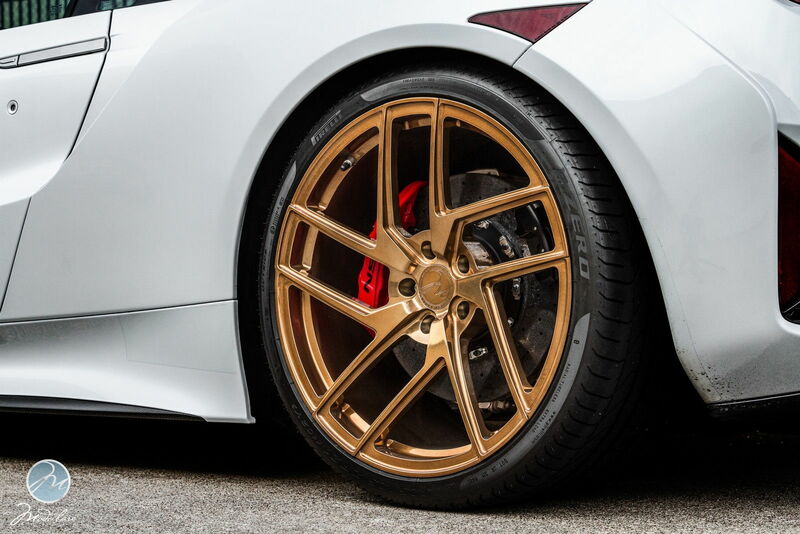 We got to work and built the wheels as 20x9.5 front and 21x12 rear for that perfect fitment and finished them in our special Polished Rose Gold finish to give the wheels just the right amount of pop against the OEM Casino White Pearl paint. 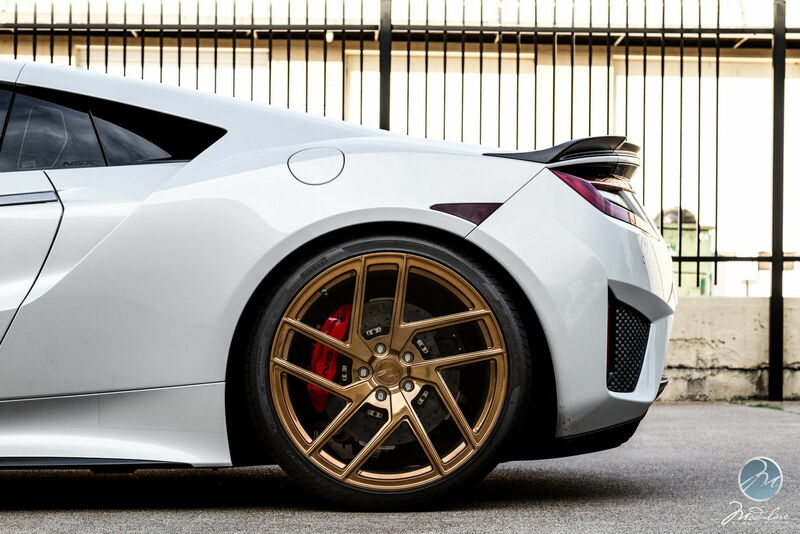 The wheels were subsequently wrapped in 255/30/20 and 325/25/21 Pirelli P Zero rubber to put all that power to the ground. 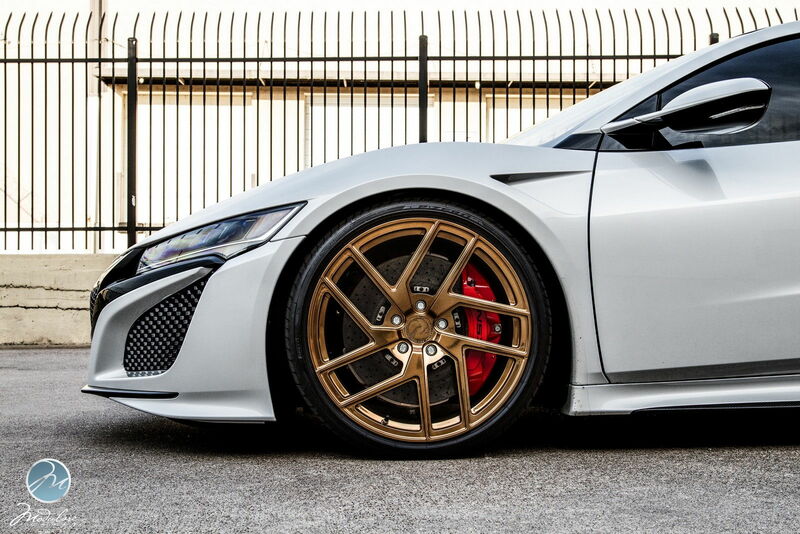 The vehicle also received a lowering kit from our friends at Science of Speed, to achieve that perfect stance.